This lovely apartment is fully air conditioned throughout and offers quality accommodation at an affordable price. The living room and main bedroom lead out to the terrace and garden, with an outdoor table and chairs and 2 sun loungers. 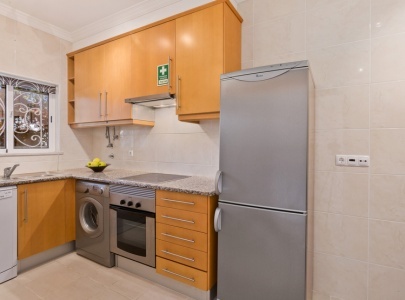 The eat-in kitchen is fully equipped for every self-catering need. 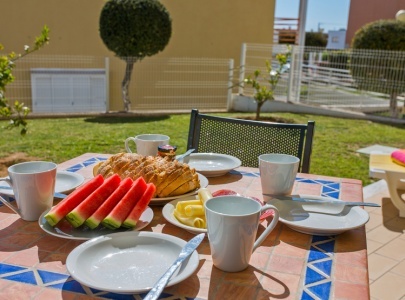 Excellent on-site facilities include a large swimming pool, extensive gardens and barbecue. 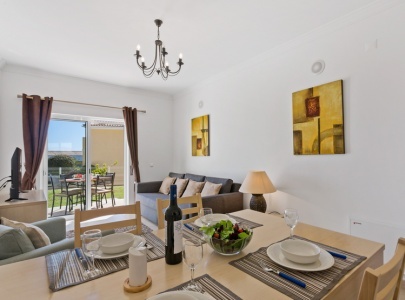 It is located near Galé Beach and Salgados Golf Course, with restaurants and shops nearby. 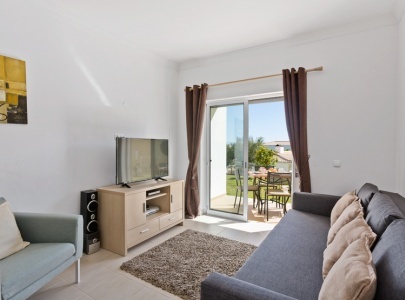 Apartment well equipped, very clean, beautiful small terrace quiet, very well located to discover the beautiful beaches of the Algarve. Secure residence, pool very clean. Very responsive hosts, I highly recommend for a family vacation to enjoy the south of Portugal. [FR] Appartement bien équipé , très propre, belle petite terrasse au calme, très bien situe pour découvrir les magnifiques plages de L´Algarve. Résidence sécurisé et piscine três propre. Nos hôtes très réactifs, je recommande vivement pour des vacances en famille pour bien profiter du sud du Portugal. Great apartment, delighted with the facilities. Swimming pool very clean and well maintained. A member of staff visited on the morning of our 1st day and outlined all the facilities and contacts we required. Great transfer service and always on time. Happy to recommend Algarve Getaways to friends and family as the experience was 100% positive. 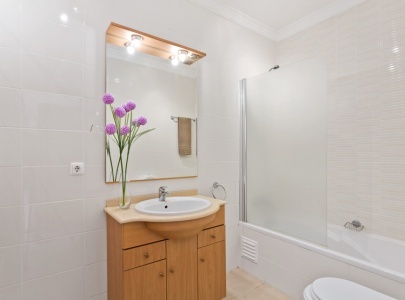 The apartment is amazing, very clean and exactly as it is in the pictures and description. We were delighted with our stay and your super friendly team, always smiling. (FR) L' appartement est très propre et la description respecté. Merci encore, nous étions ravie de notre sejour et de votre équipe super sympas, toujours souriant. The apartment was very good. We look forward to booking with you again. We had a great holiday and will be booking again. The apartment and the complex were great. We absolutely loved everything about this apartment and complex. It is a 10 out of 10! 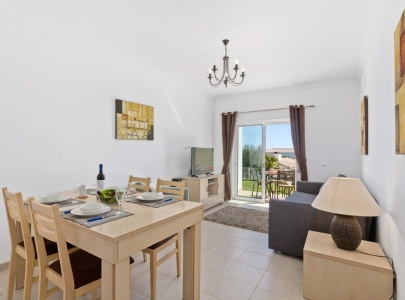 Beautiful apartment in a very well maintained complex. 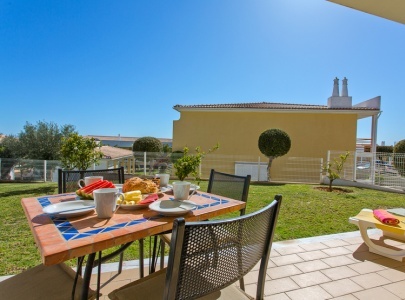 Ideally located for access to gorgeous beaches with Old Town Albufeira only a short drive away. Was our first visit to this area and the apartment and complex suited our needs perfectly. Supermarket, laundry, pharmacy and restaurants were all adjacent to complex. 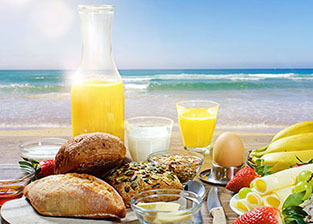 Great recommendations from Algarve Getaways on restaurants. Gale Beach 2kms away simply stunning! Would love to go back to this complex again. Five stars for the apartment. We had a great holiday but was too short! Lovely apartment, family friendly, quiet, fab pool area. Will go there again. If you wish to have these fields automatically filled in create an account or log in into an existing one. Please add all guests names and birth dates respectively. In case you are booking for someone else then please include the other persons name and birthday date. Encosta de São José is located in Vale da Parra, 6km west of Albufeira, just 5 minutes drive away. It is very accessible to many areas of the Algarve, including Algarve Shopping, Zoomarine, Slide & Splash and Fiesa Sand Art, which are all 10 minutes drive away. Within a 5 minute drive, you can reach the town of Guia, the home of chicken piri-piri, Albufeira Marina with its many water sports and Albufeira Old Town. The area is a beach lover’s paradise with many superb beaches between Galé and Sao Rafael, all with restaurants nestling in the golden sands. Golfers will love Salgados Golf course in its fantastic position on the edge of Salgados Beach. To write a review you must create an account or login into an existing one. These rates represent merely an indicative price. Buy tickets for these activities and enjoy a 10% discount! 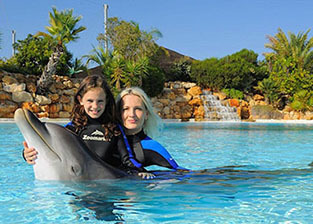 Zoomarine is the Algarve's top theme park and a great day out for the whole family. 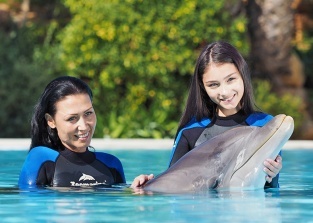 Experience the Life of the Oceans in 8 hectares of superb facilities, with live shows involving sea lions, dolphins, seals and exotic birds; a fun park, aquarium, swimming, wave beach and the unique dolphin interaction program. 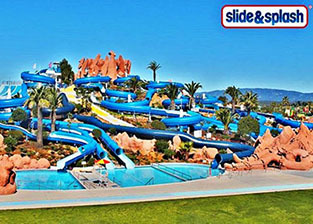 One of the largest water parks in Europe, Slide & Splash provides 7 hectares of fun and aquatic entertainment for everyone, with adult and children´s slides, rides and pools, live animal shows throughout the day, including birds of prey, reptiles and tropical birds, as well as a fish spa and massage. Spend your day on this BBQ Cruise relaxing on a catamaran boat. 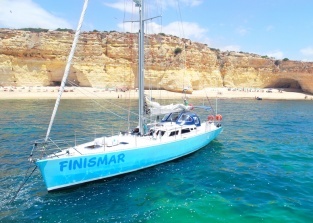 You will cruise along the Algarve coastline, into caves (weather permitiing) and along beautiful beaches. A BBQ lunch is served on the beach. Half day 3h Sunset Cruises are also available. On this, you will get the experience of a tour by cruising along the coast until the famous Benagil Beach & Cave. Junior (3 - 10 years) 50% discount of adult price. FREE GLASS OF CHAMPAGNE PROVIDED ON ALL CRUISES. Dolphin Emotions Premium at Zoomarine The Dolphin Emotions Premium is approximately 90 minutes. It includes an educational talk about the bottlenose dolphin and 30 minutes in the water where you will meet the dolphins and experience moments of tenderness that will change your life. Maximum of 12 participants in each session. A video and/or photographs can be purchased afterwards. Dolphin Emotions Exclusive at Zoomarine The Dolphin Emotions Exclusive is a 90 minute private experience, with an educational talk and where 2 participants, under the supervision of a trainer, can enjoy moments of affection with these extraordinary ambassadors of the ocean. This exclusive package is recorded on video and together with a photo album, is offered to participants afterwards. Entrance to Zoomarine Theme Park is included in the participants ticket and accompanying spectators tickets on the day of the experience. Be the "owner" of a yacht for a day. Board Finismar and have the best day of your holiday. The pleasure of sailing with a small group & trained crew. Departures from the Albufeira Marina. FREE GLASS OF CHAMPAGNE PROVIDED ON BOARD. Discover the secrets of the ocean and marine life, through a unique glass bottomed boat, accompanied by a marine biologist to answer all your questions. 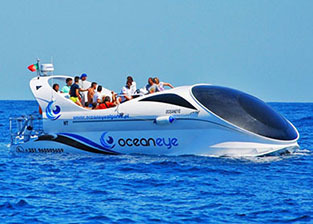 Oceaneye is a 2 hour boat ride that covers the Algarve coastline from Albufeira to Lagoa. Private boat tours also available. A complimentary basic welcome pack is placed in the apartment or villa for your arrival. This consists of: Tea, coffee, milk, sugar, water, wine, crisps and biscuits or similar. Pre-order any of the items below and have them ready for you when you arrive. If you are arriving late afternoon or evening, you may wish to purchase a full welcome pack, ideal for a light supper for travel-weary children or adults and breakfast essentials. Contents may vary. Full Welcome Pack (€35) 1 x 1L Fruit juice 6 x eggs 200g Sliced cheese Butter/Margarine 1 Loaf Portuguese bread Kitchen towel 1 x Corn Flakes Washing-up liquid Jam/Marmalade Tomatoes Fruit Additional Options Add beer to your Welcome Pack: 6 pack of beer (€8).A special celebration or spoil the one you love? Local Sparking Wine (€20).